If the S60's success is any indication, the wagon and crossover should sell like Swedish hot-cakes. 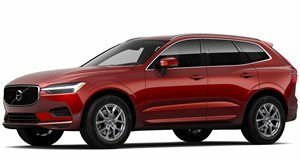 Volvo impressed when it rolled out its high-tech T8 Twin-Engine powertrain, extracting 400 horsepower from a 2.0-liter four-cylinder engine with every trick in the book. But it took the engine even further with the launch of the S60 Polestar Engineered. And now, we're glad to report, it's extending the performance treatment to the V60 wagon and XC60 crossover. Like the sedan, the V60 and XC60 Polestar Engineered crank up the output to 415 horsepower, with 494 lb-ft of torque (up from 472) to go with it. But the Swedish automaker's performance division has done more than just tweak the powertrain. The software's also been recalibrated for better response and to send more of its power to the rear wheels. Polestar also fitted a new suspension developed with Öhlins, and beefed up the brakes with gold-painted six-piston calipers, peering out from behind the unique alloys. Aesthetic enhancements also include a glossy black grille, black chrome tailpipes, flared wheel arches, and special badges. And the cabin's all done up in black Nappa leather and "open-grid” textile, with metal mesh aluminum trim, and gold-colored seatbelts, matching the brake calipers in what's become a signature touch of the Polestar Engineered line. 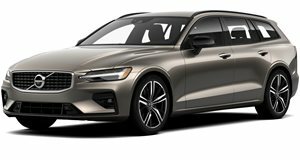 Given the quick sell-out success of the S60 Polestar Engineered, we don't doubt the same treatment applied to the wagon and crossover will sell like hot-cakes, too, when they each dealers this summer – by which time we should have more details on pricing and quantities to be made available. No wonder it’s the most popular model in the lineup. Instead of adding 'sporty' features no one needs, Volvo built a luxury masterpiece.